Originally founded in October 1994 in AOL’s Neverwinter Nights, the Undead Lords (UDL) has a long history as a formidable and tight-knit force across the MMORPG genre. Our successful past endeavors include a competitive presence in NWN, UO, EQ, DAoC, SB, WoW, AoC, WAR, Darkfall, SWToR, and GW2. 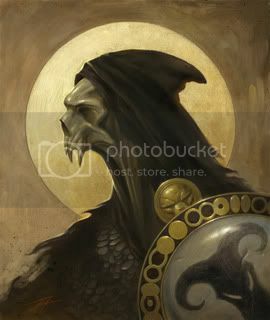 Our guild name and lore is based on Myrkul: the Lord of the Dead, also known as the Lord of Bones, one of the Dead Three from Forgotten Realms literature. We are his faithful adherents and are eternally undead. Our fully accepted members are given the title of Knight, and our leaders are deemed as Liches of the Undead Lords. and strange each deathly eye.